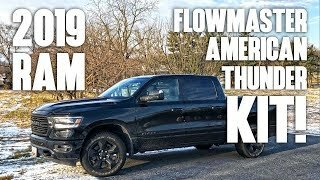 Shy of the 8k update I promised, but I tried to answer some of your questions regarding poor winter mpg and quality of the first year 5th gen Rams. Sorry, but that wind noise is NOT acceptable, regardles of cross wind. Is it actually flowing into the interior? If so, that is ridiculous. I should know this. I used to live in queen creek. I got great mpg while i lived in AZ, well minus the mountains, 6 lanes of PHX traffic and the AC remote starts. Of all the places ive lived, I miss Arizona the most! Fairly normal yes, but on a long drive the 8 speed usually settles around 190, hence the reason I stated its still not quite up to temp. 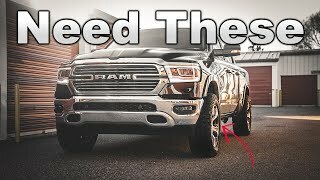 there is something wrong with the new generation ram 1500 top of the line truck. my old 2009 top on the line dodge/ram 1500 equipped with 5.7 hemi 3.97 rear rambox running boards toneau cover crew cab and i got 19 to 20 mpg on hwy the new truck has everything plus e-torque and gets 16.8 hwy at 3500 miles. something wrong??? a looking truck like my last one but there is something wrong. the old truck got 22 mpg at 1000 miles it got less as mileage went up. I thought brake squeal always has to do with the rotors? I know dealers dont ever want to replace them when your under warrenty but from my experience, new rotors and ceramic pad stops the squeal. Man I wish I could tell you. There have been a few v6 guys who seem to be getting a solid 2-3mpg better. Especially if you're buying a 4x2, I'm sure you will be much closer to 20 in these conditions and probably 23-24 in the summer. What’s the towing like ? 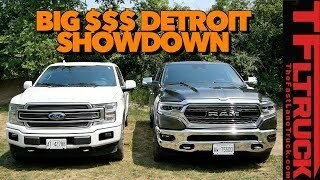 I’m on fence between 2019 Ram 1500 and the 2019 Ram 2500 turbo diesel. I can't answer that unfortunately, as I havent had to tow yet, only haul landscaping and my motocross bikes in the bed. I'd join the 5th gen page on facebook or join the forums and I'm sure others will have experience. 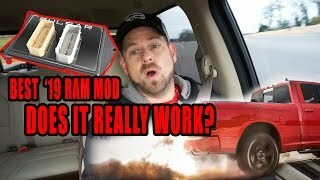 Any issues with climate control defrost after remote start? I saw several complaining their defrost did not work well. Also, any issues with under-performing AC back in the summer? Thanks. Not really. I think the AC was adequate, but that's it. Honestly feel like the cabs are so much larger, ram didnt take this into account. It works well and blows cold, but the cab doesnt get all that cool it seems on the hottest of days. However, thats another reason I'm glad I got the cooled seats! Very informative video, thanks. Do you have the 392 axle ratio and if you have the air-ride can you give your review on it. Example is it worth it or not? 3.21 gears and coil spring suspension. I think the Air is great, as long as its under warranty. If you live in the north, you will have frozen air ride that won't work some mornings. It's just an expensive system. 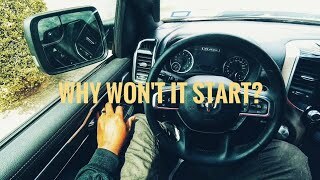 Just depends on your budget, how long you plan on owning it, and what you need. This is just my opinion, so I wouldn't let that stop you, I'd drive both and see. Huge ford recall. 2011-2013 f150s. Freaking 5 years later. I have the same truck with the same brake issue, but overall I'm extremely happy with my new ram. 2700 miles so far on my Laramie and I couldn't be happier with it. If I'm doing 77mph in my 2019 GMC Yukon XL I'm averaging 18.5 easily. 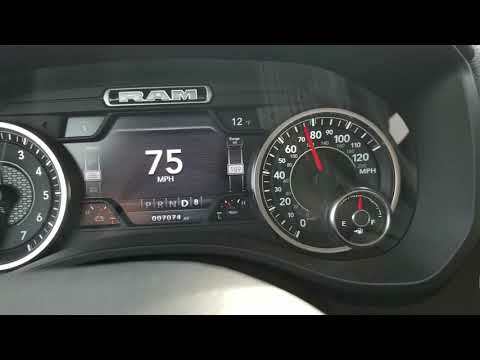 The rating of Dodge Ram should be 1 mpg better. Love the interior of the Longhorn but may stick with my Yukon, seems less issues so far. In the summer I took quite a few trips up north, 300 miles and speed limit is 75. I usually set the cruise at 83 and the lowest I hand calculated was 18.6. I'm usually well into the 19s at that speed. If I keep it under 80, I'm able to break 20 easy. The winter just flat kills mpg. Honestly right now if its not windy and I did the same 300 mile trip, i wouldn't be surprised to get 16-17 mpg hand calc. Wondering if you notice that cross winds really want to move this truck around on the highway.. I have a 19 Big Horn "North Edition" and sometimes it really wants to move around on the highway here in New England..
My 2017 F150 seemed a bit more stable, never really noticed this.... I did add the Hellwig rear anti sway bar a few weeks ago and it helped some for sure, but was wondering if you notice this on your laramie? +Steve M keep us updated, I'm sure you could probably sell your stock tires for a decent amount before you get too many miles on them too. +bboyce536 Ya, I feel it's the tires more than anything, they seem touchy to driver steering input even on normal city roads..The truck with off road shocks rides slightly tighter than the standard Big horn I tried, but tighter in a nice way..
+Steve M I searched the north edition and it says its a mix of off road group and level 2 package. So it seems you get the 1 inch lift over stock trucks too. Im sure that with the off road tires may give you more wander...if you will. I've not noticed any wander in mine when there's crosswinds, but mine doesn't have the 1" lift and has the pretty highway oriented bridgestone tires. It drives nice and staright on the road until a cross wind hits it, and then it's moving.. 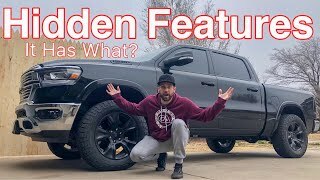 I wonder if the Off road Falken tires have something to do with it, I do notice in the rain they are not that good, snow they're just ok also. No issues here. 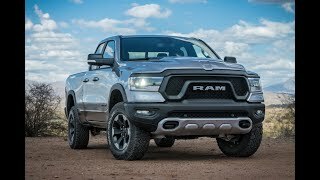 If anything this truck is slightly more stable then my 17 ram and similar then Ive experienced in my past GM trucks. Do you have the Off road group? 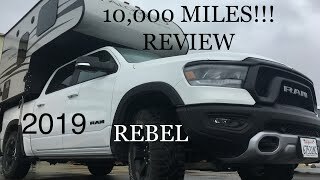 My 2019 limited maxed out build sheet, special ordered and now with 6500 miles and I love it. The brakes are very annoying and the GPS system is garbage. My 2015 limited also had 392 5.7 and got 22 to 28 MPG. My 07 also had 392 5.7 and got 16 to 20 MPG. 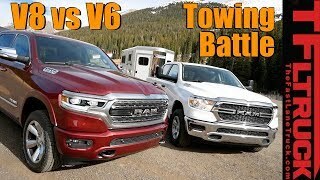 This 2019 5.7 e torque engine 392 can't get 17 MPG if you tow it. It's 12 to 15 MPG. That being said this truck drives excellent with great handling and power with a luxury ride and interior. The towing ability of this 1/2 ton is better than any 3/4 ton of any GM or Ford I've ever experienced, and I tow to capacity and beyond for many years and had Fords and GM . 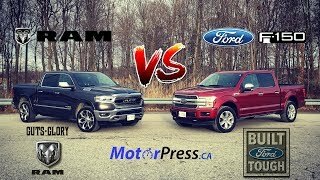 The Ford is a good truck but when it has problems they are hard to fix and the GMs were always in the shop getting warranty work. Mopar has been flawless with me. No down time on any of them. I work my trucks hard and take top care of them no matter what make it is. 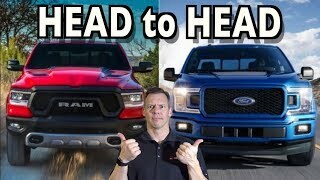 I know guys that swear by their GM trucks and I know Ford guys too. It comes down to what you have luck with and what you like. Life is short so have what you want and enjoy it while you can. At how many miles did you do your first oil change? What kind of rear end do you have? 3.21 or 3.92? Rear wheel or 4×4? 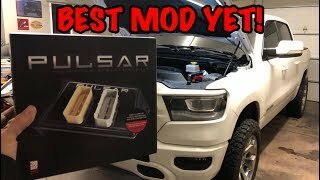 Was curious if anyone has a fix or been able to get the dealer to fix a squeaky center console? Also, interested to hear if FCA announced a fix for the brakes. Been driving me nuts all winter. My dealership replaced the entire center console when I brought it in for the squeaky arm rest. joe perez im from texas too what mpg are you getting ?? A lot of the issues with mpg is the fuel during the winter they use a different blend for gasoline and it is inherent issue is poor fuel mileage. Summer fuel has a 1.7% more energy as compared to winter blended fuels. Does anyone elses laramie radio 8.4 have static when you turn the truck on until you switch to like XM and back to FM? Could be the active noise canceling. I've heard of guys getting static, i believe there's an update. If you own a pickup, and you are surprised by poor mileage, you should have purchased a Ford Fiesta. They get excellent mileage. No, you can't haul stuff but excellent mileage. +bboyce536 I own a truck and a car. I commute a little over 2 and half hours a day to get to and from work. Every other vehicle is a pickup. If folks are using them, they are missing the fact you put your stuff in the box. I think most love to drive a truck and love to complain about mileage. There can't possibly be a misunderstanding that trucks get less than 20, more like 14 mpg. Common sense I think. Those who are surprised by this, then need to sell and move on. Well everyone always says this, if you don't care about mileage then you probably enjoy throwing away money. I and most will probably agree that they need a pickup truck but enjoy not getting nailed at the pump. Most don't have money to have 2 cars just to daily something that gets better mpg. 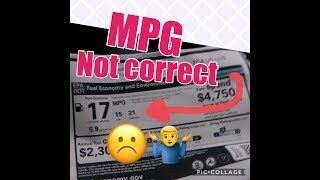 So people complain about a vehicle they bought not getting advertised MPG have a valid point, most just don't realize how the epa testing is done and expect EPA numbers at 85 on the freeway while in a 20 mph headwind. My 2016 silverado mileage drops like that.... when I'm in 4 wheel. 20 degrees below zero weather no wind noise, go bow tie! I lemoned my 16 Silverado. It was my 5th brand new GM, but never again. The chevy did get very comparable mileage to my Rams. We got hit with 2 days of -30 here in MN last week and I had issues where my 4wd indicator lights were flickering until the cab warmed up. That and the brake squeak issue so far at 1300 miles. And MPG is in the tank of course. I am experiencing the brake squealing but just on the left side after driving about 45 minutes. Starts when depressing around 10 mph. Service mechanic was not able to replicate issue. Here’s an update on my brake problem. 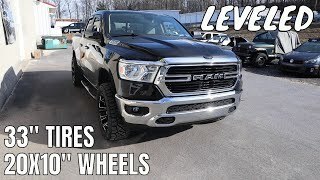 I took my truck to the dealer for another issue and learned there was a recall on my truck. They replaced a ground wiring and I now have no more problems. Check with your dealer about recalls. This was a waste of 10 minutes. 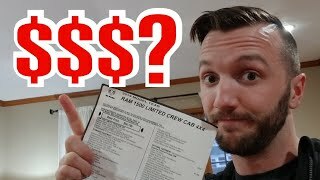 I actually appreciated the video since I am considering a ram. I'm glad you got that off your chest. 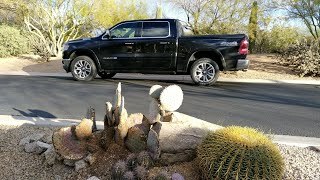 2019 Ram 1500 Review: The Best All Around Truck Ever? 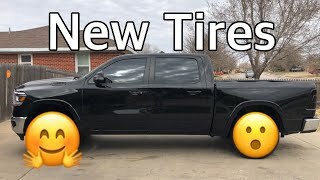 NEW Tires for my 2019 Ram 1500 and a NEW ZR1! 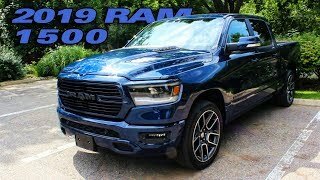 2019 RAM REBEL 10,000 Mile Review! 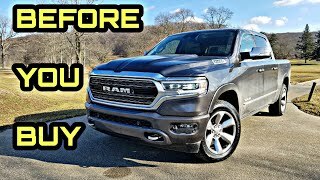 Howard Checks Out The 2019 Ram 1500 Sport! 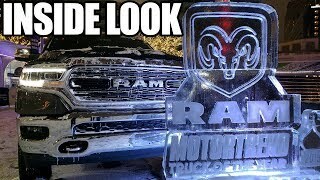 2019 RAM HD - The coolest RAM yet?